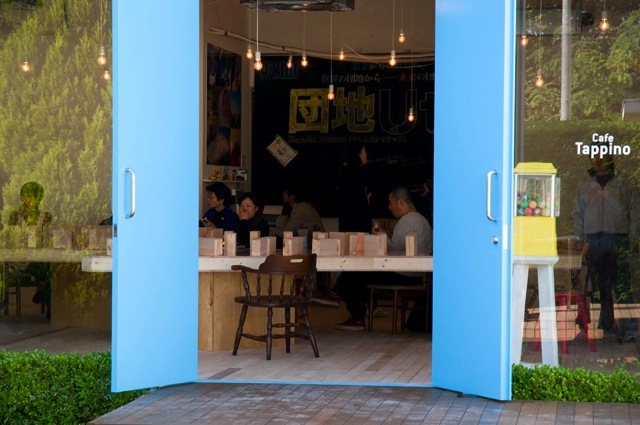 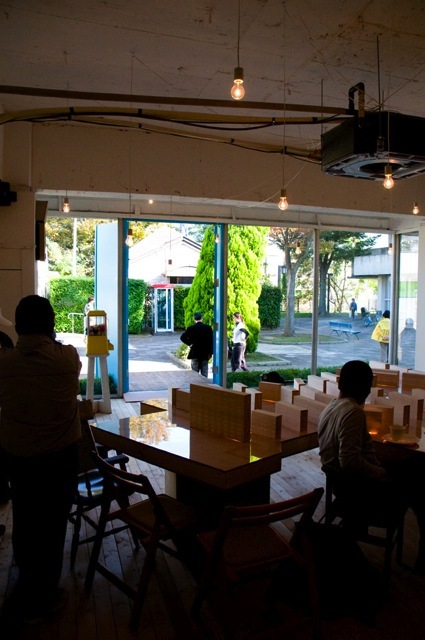 This cafe is a former bank office located in Toride Ino danchi estate. 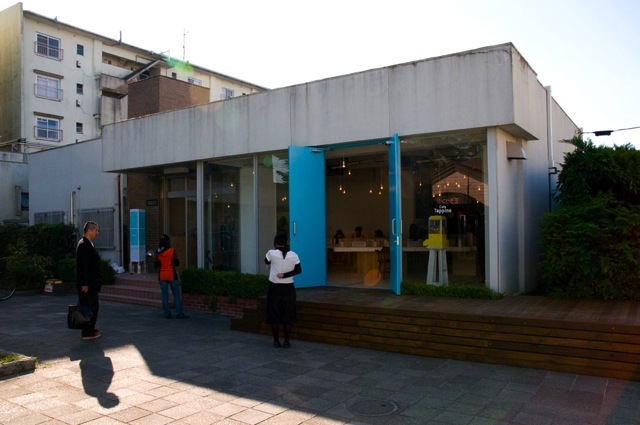 For the floor,the counter, the external deck, 2×4 wood structures used for a previous exhibition were recycled. 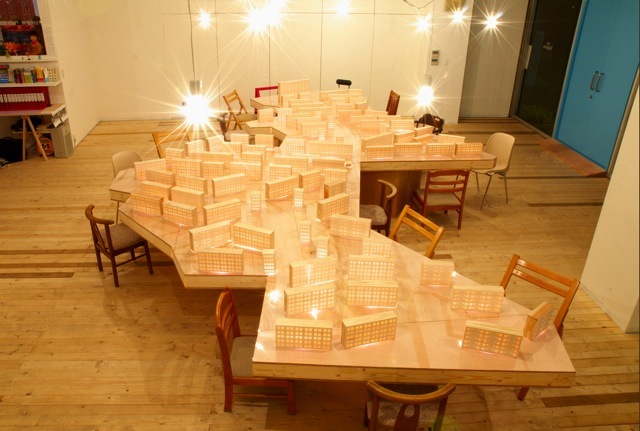 The central table has a shape reminding customers of the site of the project. 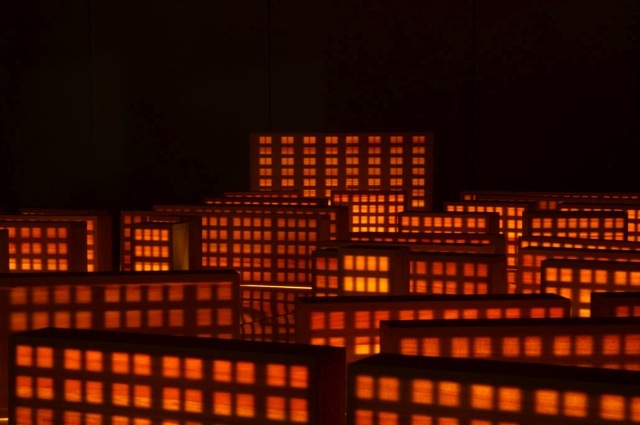 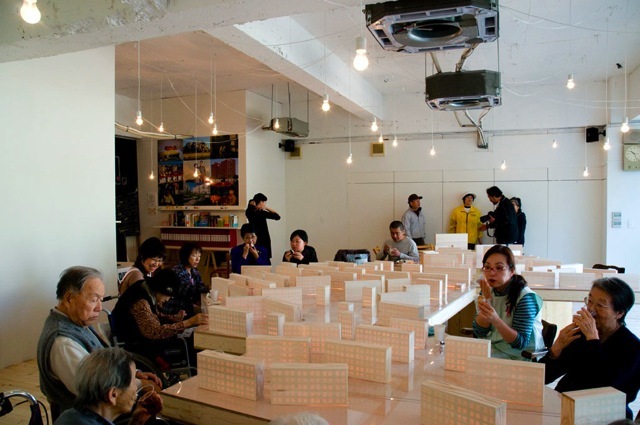 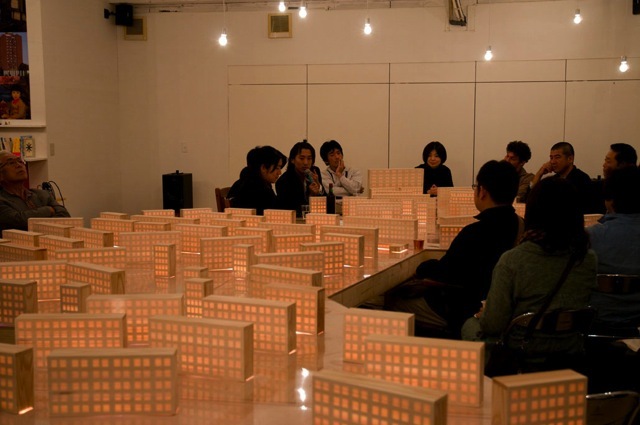 The danchi building models on the table are lit up by lighting hidden under the table. 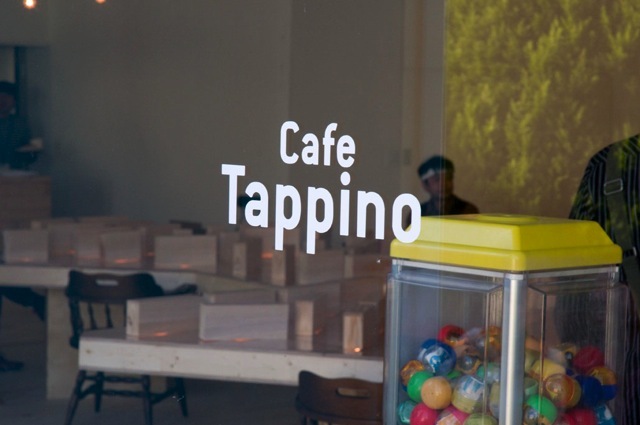 Now the cafe is managed as the office and the art space of the whole estate.